This is a commission of a Utahraptor "reference" for a friend. It is entirely based only on material that is currently-published, and is therefore technically inaccurate considering the existence of unpublished material. However, my client wanted an image of Utahraptor that is "as accurate as possible" based on the knowledge we've had on the critter up to this point. 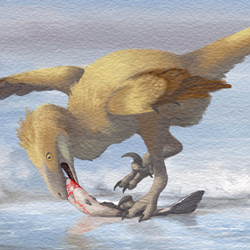 Once the new material is released to the public, this image will be modified to reflect the updated anatomy, and will therefore serve as an interesting "before" and "after" for the animal. 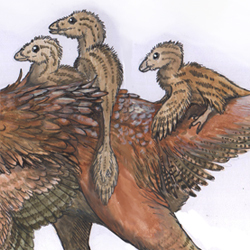 Anatomy is based on Scott Hartman's technically-outdated Utahraptor skeletal diagram.